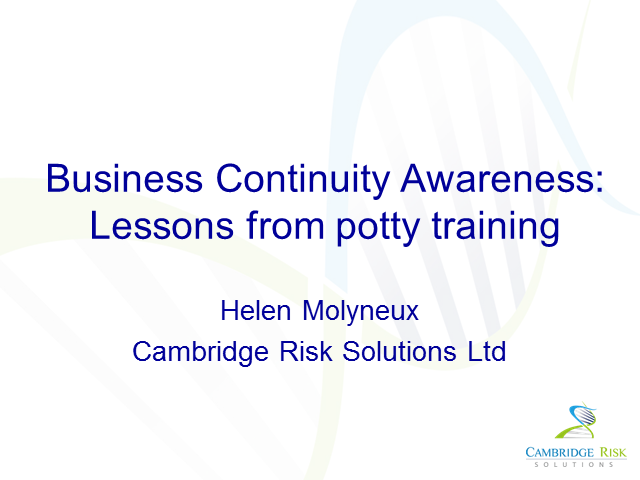 Increasing business continuity awareness often focuses on posters and newsletter campaigns, and ensuring that staff know where the policy and plans are kept. However, ISO 22301 requires that awareness includes staff understanding ‘their contribution to the effectiveness of the BCMS’, not just the plan. This presentation will consider a broader approach to awareness within an organisation, considering approaches to make all aspects of a BCMS second nature, and an integral part of business as usual.